Public transport in and around Schiphol Airport has become a lot greener thanks to the introduction of 100 electric buses. Together, they comprise the biggest zero-emissions bus fleet in Europe. 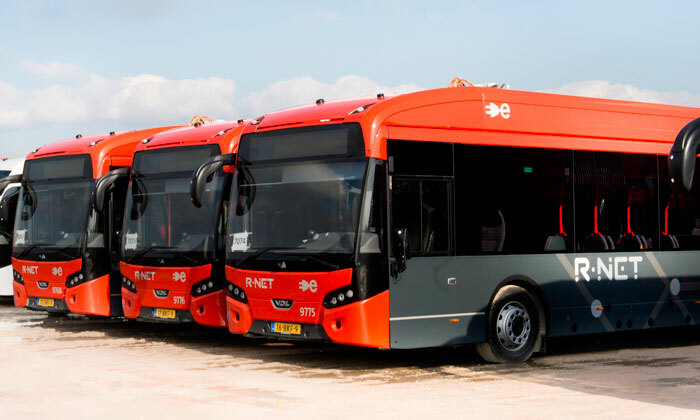 Bart Kraaijvanger, Manager of Connexxion’s Zero-Emission Programme, details both the work that has made this possible and the plan to increase the size of the fleet to no fewer than 258 electric buses by 2021. Schiphol Airport, and the surrounding area, is part of the Amstelland-Meerlanden (AML) concession, which includes the municipalities of Aalsmeer, Amstelveen, Ouder-Amstel (except for Duivendrecht), Uithoorn and Haarlemmermeer. This concession, won by the Transdev company Connexxion in 2017, runs from 10 December 2017 to 11 December 2027 and has a value of approximately €100 million per year (including €40.5 million in subsidies received from the Amsterdam Transport Region). Based on a study, the Amsterdam Transport Region and Schiphol Airport decided to include the use of zero-emissions (ZE) buses as a requirement in the invitation to tender. Schiphol Airport financed and built the infrastructure for the charging points on the Schiphol grounds. The concession win and implementation of the fleet has future-proofed the city of Amsterdam in terms of sustainable urban transport, says Bart Schmeink, CEO of Transdev Netherlands. “We have managed to accomplish this great result by working together with the Amsterdam Transport Region, the Municipality of Amsterdam and Schiphol Airport, and, last but not least, our staff. With this concession and bus fleet, the city of Amsterdam is ready for the future,” explains Schmeink. 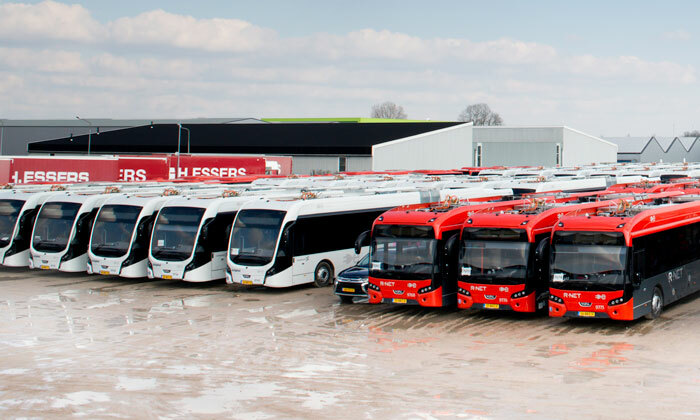 The buses, manufactured by VDL, are 18m long and, depending on the exact type, have room for 117 (Schiphol network) or 120 (Randstad network) passengers. They are in operation 24 hours a day and have a battery capacity of 170kWh. When fully charged, the buses have a driving range of up to 80km, based on an assumed power use of 2kWh per kilometre. The buses can be charged at both slow and fast charging points. 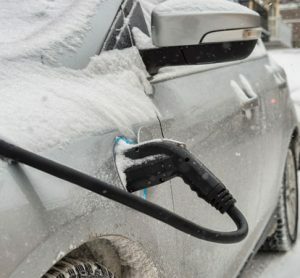 Fast charging has a capacity of 450kW and takes no more than 15-25 minutes. Slow charging has a charging capacity of 30kW and takes up to five hours. Charging points are currently in place on the Schiphol grounds at Schiphol P30, Knooppunt Schiphol Noord and Cateringweg, as well as in Amstelveen. In the future, additional charging points will be installed at Harlem and Schiphol Zuid. Miriam Hoekstra-van der Deen, Director of Operations at Schiphol Airport, also offers some context on the efforts to make the Netherlands emissions free, explaining the role that Schiphol Airport has to play. 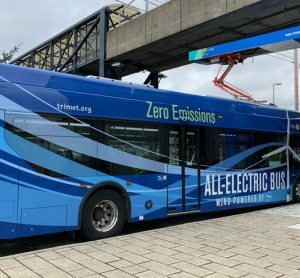 The electric buses offer a more comfortable and quieter travel experience without emitting any exhaust fumes, an obvious benefit to the air quality in cities. The buses are recharged during timetabled breaks of up to 20 minutes using the Heliox fast charger. Recharging takes place at smart charging points so that passengers are not inconvenienced in any way. Around 500 drivers have received special training on driving the zero-emissions buses, including how to safely charge them. In total, 550 colleagues have been trained, including vehicle cleaners and other personnel. On 9 June 2016, the executive committee of the Amsterdam Transport Region adopted the schedule of requirements for the 2018 Amstelland-Meerlanden concession tender. One of the requirements in the tender concerned sustainability, leading to the Amsterdam Transport Region and Schiphol Airport conducting a joint study, investing funding and deciding on the operation of a zero-emissions bus fleet at Schiphol to encourage the transition to zero-emissions across the remainder of the transport network. Connexxion won the tender because it best addressed the applicable questions and requirements. As such, the company has made a big contribution towards achieving the goal of new public buses having zero harmful emissions by 2025, as set out in the policy agreement on zero-emissions bus transportation between the provinces, transport regions and national government. 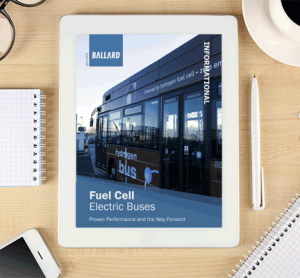 Another requirement is that by 2025, all the energy on which the buses run should be generated sustainably (e.g. using solar panels or wind turbines located in the region). 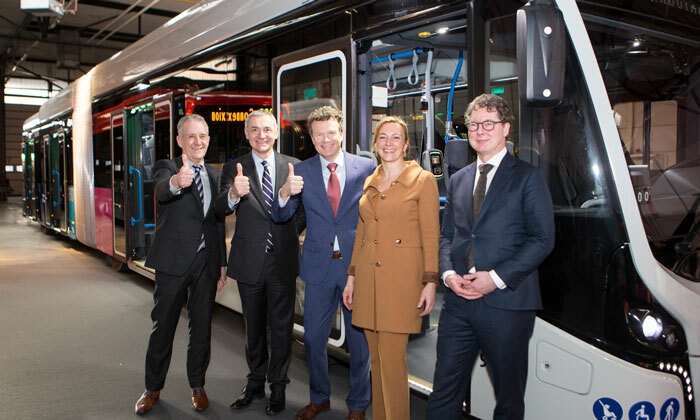 A fleet of 43 electric buses is already in operation in south-east Brabant. These buses are operated by Hermes, a subsidiary of Connexxion and therefore also part of Transdev. When it was launched, this fleet, too, was the biggest electric bus fleet in Europe at the time. Ultimately, the goal is to make all city and regional public transport in Southeast Brabant zero-emissions. Forty trolley buses in Arnhem. Mobility is an indispensable part of our lives: it connects us to the world around us. Each day, Transdev Netherlands gives people the freedom to travel wherever they want to go, using buses, trains, taxis and coaches. More and more people depend on public transport every day. 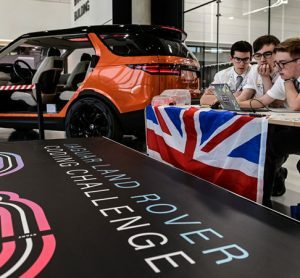 Our rapidly changing society demands ever-more ingenious forms of mobility and care that are future-proof and sustainable. For people, society and the environment, we must work to make mobility as flexible, efficient and personal as possible. 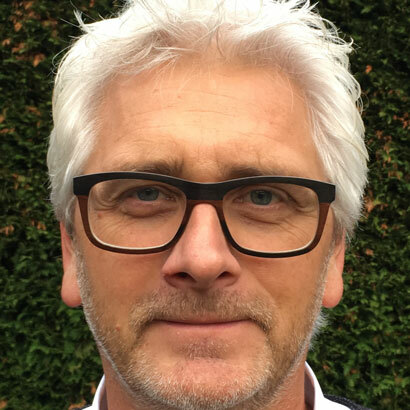 Bart Kraaijvanger works as Zero Emissions Programme Manager at Connexxion Openbaar Vervoer NV/Transdev Nederland. He is responsible for the Zero Emissions Programme, including electric and hydrogen buses. 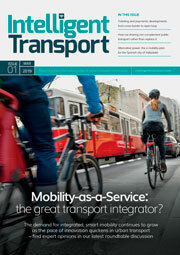 Bart has over 20 years’ experience in public transport bus fleet management.